Chris Weidman looks to re-establish his Championship dominance. He’ll need to defeat Yoel Romero this weekend at UFC 205 to take a step closer. 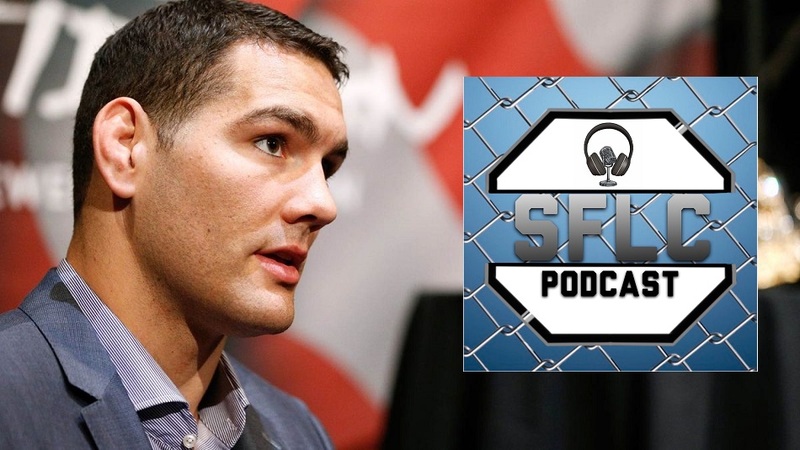 Former UFC Middleweight Champion Chris Weidman has been one of the important advocates in getting MMA legalized on a professional level in the State of New York. This weekend, he will make history on a highly anticipated card at Madison Square Garden when he takes on Yoel Romero. The middleweight fight is scheduled for the main card of UFC 205. Weidman (13-1, 9-1 UFC) has not competed inside the octagon since losing the Middleweight Strap to, another former champion, Luke Rockhold at UFC 194 in December. The rematch was scheduled for UFC 199 in June, but Weidman had to pull out of the fight due to a cervical disc herniation that required surgery. Weidman was replaced by Michael Bisping, who went on to win the title from Rockhold. Bisping went on to successfully defend the title last month at UFC 204 against Dan Henderson. A gaping hole has been left in the UFC Middleweight Division. 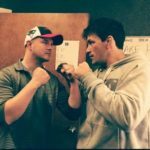 Two of the missing ingredients will take the center of the octagon this weekend to take a potential giant step forward to the UFC Middleweight Championship. Weidman dealt with a neck injury, Romero dealt with USADA, receiving a six month suspension after a tainted supplement caused him to fail a drug test after UFC 194. A mini quazi tournament was put in place, as this fight was paired with Rockhold taking on Ronaldo “Jacare” Sousa, scheduled for November 27th at UFC Fight Night 101 in Australia. An injury has forced Rockhold out of the fight, which raises the stakes of the Weidman-Romero match-up exponentially. With all of this in play, coming off of a world championship loss, fighting an explosive contender who nobody in the UFC has been able to defeat, fighting in his hometown at Madison Square Garden and a potential title shot on the line, this one already feels like a title fight to the former champion. When asked whether he has talked to the UFC about getting the next shot at Bisping and the belt after a victory at UFC 205 over Romero, Weidman didn’t hesitate to respond confidently. Getting the job done will be no easy task, taking on a super explosive athlete in Romero (12-1, 7-0 UFC). A puzzle nobody from Clifford Starks, to Lyoto Machida have not been able to solve. Romero has had controversial victories over Tim Kennedy and “Jacare” Sousa, however, they are victories none the less. Weidman believes he has the solution to the Romero puzzle this weekend. While Weidman doesn’t want to let the hype of the moment and the event get into his head, he is, however, a fighter who breaks down multiple aspects of the fight itself, from the positive moments, to the potential negative ones. With a dangerous opponent like Romero, Weidman knows he may have to get out of a couple of precarious positions. A victory on such a big stage against such a tough opponent will be a tremendous moment for him. For an athlete with several, including in July of 2013 when he knocked out Anderson Silva and won the UFC Middleweight title, with his advocacy, fighting in front of his friends and family in his home town, a title shot in his grasp, a victory this weekend could trump winning the belt and changing his life. Another component of this fight for Weidman, is that for the first time in nearly five years, he will not be fighting in a Championship or Main Event fight. Which means, for the first time since he defeated Demian Maia in January of 2012, Chris Weidman will compete in a 3 Round Fight. Here is what we know; If Chris Weidman is victorious this weekend over Yoel Romero, at least from what Weidman has been told, his next fight will be against Michael Bisping for the UFC Middleweight Championship. How would Chris Weidman celebrate such a memorable moment of his legacy and storied career? By staying in the “World’s Most Famous Arena”, watching his teammate, friend, and family member Stephen Thompson attempt to make history himself, as “Wonderboy” takes on Tyron Woodley in his first attempt at UFC gold. This is a special night for Weidman for a lot of reasons. We have opinions, thoughts and predictions for this historic night at Madison Square Garden, UFC 205. The mere mention of “UFC 205” has sparked excitement, anticipation and sometimes differences of opinions. One thing we can all agree on, is that, as it has many times, history WILL be made at Madison Square Garden!